OMG Posters! 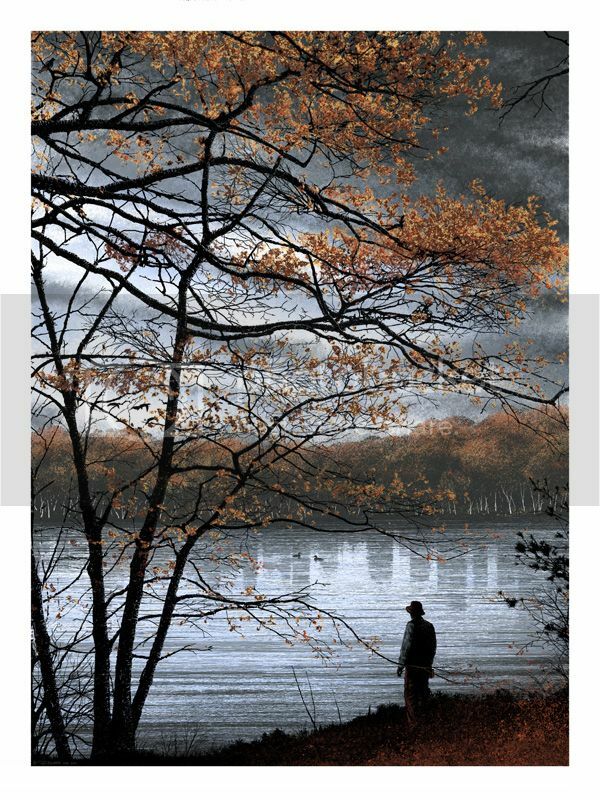 » Archive JC Richard's "Walden" Print (Onsale Info) - OMG Posters! JC Richard will release the last few copies of his “Walden” print later today. He only has about a dozen copies left, they’ll be $85 each. In addition, he’s got an art print edition to release. Titled “Hound, Horse and Dove“, the art print will cost $95 and has hand-finishing and penciled titles (but is otherwise the same as the book show print, minus the text). Both go up today (Friday, May 6th) sometime after 12pm Eastern Time. Visit Microcosm Media. This is LEGIT! Best new artist hands down. Already have 2 of his pieces framed, this hopefully will be my 3rd. Beautiful, will be going for one for sure, absolutely beautiful piece of art. absolutely love it! how are they printed? Gotta agree this guy is one of the best new artists out there. Quality images and top notch prints. I love the theme of isolation. Can’t wait for the next print! @Tony: believe it or not that’s a screen print. Wild huh? Im totally psyched to have gotten an art print version. I’m an elementary school teacher in Boston, and this is definitely going to be hanging in my classroom! Is this digital or a screen print?